Brandi N. Ferrari, CPA – is responsible for the corporate-level financial operations and financial reporting on existing investments. She also supports all fund financial operations and reporting for the firm. Brandi joined the firm in 2015 as a Staff Accountant. 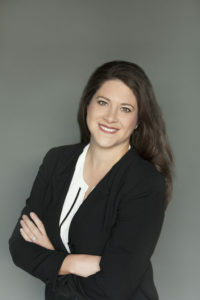 Brandi has over 17 years of experience in accounting and financial reporting with both public and private companies. She has over 11 years direct experience in the real estate industry. From 2006 to 2015, Brandi was the Accounting Manager with Ferrari Companies where she managed all accounting and reporting functions for a privately held real estate investment firm. From 2004 to 2006, Brandi served as Financial Reporting Manager for CBRL Group, a NASDAQ listed corporation with headquarters in Lebanon, Tennessee. Brandi supported the SEC reporting process as well as financial reporting to executive management and investors. From 2002 to 2004, Brandi was a Divisional Accounting Manager for Private Business, Inc., a publicly traded company based in Brentwood, Tennessee providing software, marketing services and online transaction processing to banks. Prior to 2002, she was a Staff Auditor for Deloitte & Touch LP in Nashville serving retail, manufacturing and healthcare clients. Brandi holds a Masters of Accountancy from Belmont University (2001) and a Bachelor of Science in Commerce and Business Administration from the University of Alabama (2000). She is a licensed Certified Public Accountant and a member of the American Institute of Certified Public Accountants as well as the Tennessee Society of Certified Public Accountants.